Author Laura O&#39;Connell Speaks About Her Work - and a Giveaway! ANNOUNCEMENT: The winner of Laura's giveaway of WEB OF LIES is Suzanne Ross Jones. Congratulations Suzanne. 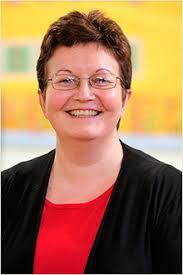 I'm happy to welcome author Laura O'Connell to my blog today. Laura has two novels launched into the world recently, WEB OF LIES and HEART OF AFRICA. Today, we're talking about both of them. 1. Laura, you're very welcome. I'm fascinated by your premise for WEB OF LIES. That book might as well have been written in Ireland, where I come from. Years ago, in Ireland, girls who found themselves in the situation of being unmarried and pregnant were often sent 'off to the nuns', that meant some convent, where they could hide until they had their baby adopted. Many women were so scarred by the experience that they were never the same again. The situation was terrible for the children too, because when many of them grew up, they had a very difficult time tracing their real mother. We're from different sides of the world, yet this common situation has occurred. It's really a universal story, isn't it? Yes, Maria, Web of Lies is a universal story. Like all of us, young people are impetuous at times and don’t always think about the consequences of their actions. In the 1960s and the 1970s, sadly the unwed mothers to be were treated harshly leaving a permanent emotional scar from which some never recover. Society at the time thought they were doing what was right for the mother and the baby, but the women, many years later, still haven’t gotten over the shame and ostracizing they received all those years ago, not to mention they’ve never been re-united or even found the baby they gave up for adoption. My heart cries for these women, because the question, ‘what if?’ will always be lingering at the edge of their mind. 2. In the Seventies in Ireland, a lot of women started keeping their babies, but the 'unmarried mother' stigma persisted. Thankfully, the situation has improved a lot. Is it the same in Australia? 3. When you've discussed WEB OF LIES around and about, what's the general response? I don’t discuss my books as I write them. However, some feedback I’ve gotten is that Web of Lies is a ‘soap opera’, which really made me laugh. Another said it was such an emotional read they cried several times through the book. I guess it depends on the frame of mind – some people don’t see the trauma of the situation and for others this situation touches them deeply. I like it that my stories touch people in different ways. 4. Your website tells us that your write stories about second chances. I particularly like that. It's so hopeful. Why do you like to write stories about second chances? Everyone makes mistakes for all different reasons depending on their frame of mind, the situation, and the circumstances at the time of the incident. People often make a snap decision that can affect the rest of their lives. This is life. I believe nothing is so bad in life that it can’t be overcome, otherwise we are on the road to a slow death from bitterness that can fester causing illness. It’s being given that second chance to turn your life around that propels people forward to give in another go. The important thing is to learn from our mistakes and grasp the opportunities that are available to us. 5. Your bio tells us that you love travelling and your other book AFRICAN HEARTS is set in Africa. How much has your travel influenced your writing? My travelling has influenced my writing quite a lot. It’s not so much the place, although place gives an interesting setting to the story, more that it’s hearing people’s stories that move me so much I’m compelled to write about their experiences. I have this knack of being able to put myself in other people’s heads and feel their pain. Sometimes it can be quite an emotional journey for me as they take me into their world. I haven’t been to Africa yet, but it has held mystery for me ever since I first learned about it in year three at school when I sawaa picture of a little boy standing next to his mud hut. That image stayed with me all my life until several years ago when the Watoto Children’s Choir visited our church on the Gold Coast. We billeted two of the boys and their chaperone. When I asked what the biggest challenge for these young people was, the chaperone said it was their sense of belonging that mattered to them most. I could relate to that because I lost both my parents by the time I was eight years old. The world was big and frightening to me and there seemed so many possibilities, and there still are, and so I travel and live in different places to try to make sense of where I fit in, and I’ve come to the conclusion I’m meant to drift and experience the world and its people as and when they come to me. I’m in a place of wondering at the next challenge at the moment. I find this situation to be exhilarating. 6. Can you tell me a little about AFRICAN HEARTS? What do you think that the world in general can learn from Africa? I mentioned in your previous question where the inspiration for AFRICAN HEARTS came from. It is the story about Gina who goes to Africa to fulfil her dying brother’s wish. When she gets there, he’s already died from AIDS. She finds she’s guardian of her eight year old nephew she didn’t know existed. Gina is taken on an amazing journey of finding out who she is and her motives for living life as she does. Dr Kam Bonsu, her brother’s doctor, has dark places in his heart that need to see the light to flush out the pain of his past. Apart from the cultural differences, Gina and Kam have much to overcome if they are to move forward. Africa is a complex and diverse country, which we can learn from. Throughout history it has had its fair share of war and destruction because of white settlement. What I think the rest of the world can learn is that material possessions don’t make us better people. Material possessions can help make life easier, but it is valuing human life and taking care of one another that is paramount for our survival. Euripides said it well: ‘Love is all we have, the only way that one can help the other’. 7. What's your favourite place in the whole world? am now in the hills behind the Gold Coast, sharing my thoughts with your readers, and giving hope that there is a tomorrow even if it doesn’t feel like there is right now because of what they’re going through. I have daily challenges like everyone else, but I know life has a way of working itself out even on the most challenging of days. That's a nice, positive note to end on. Thanks Laura for a most interesting interview. 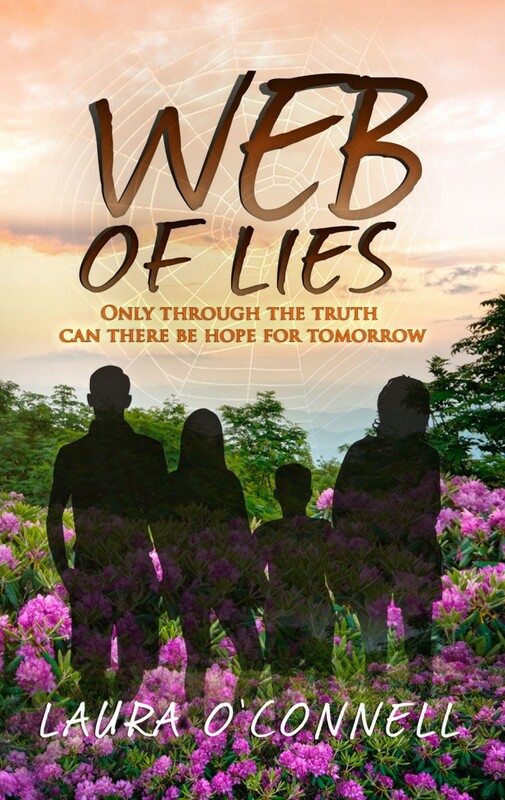 GIVEAWAY ALERT: There is an ebook copy of WEB OF LIES for one lucky commenter. Great interview, Laura and Maria. Both these books sound like great reads. Hi Laura and Hello Maria! It was lovely interview ladies! I enjoyed reading it. Thanks for sharing and congrats on both your awesome books, Laura! I read two books from same author yet so different- African Hearts and Web Of Lies! I enjoyed both tremendously! Thanks Maria for hosting Laura! Thanks for coming over Suz. Laura's two books are fascinating and great reads. Totally different from each other too. You are one of those writers who writes from the heart Laura. The premises of both are unique. 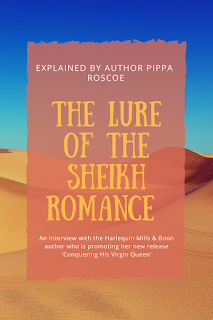 Thank you Maria for having me on your blog. I feel it was a privilege to be here today. This interview was a real treat! It makes me think about all the challenges women faced in the past and still face. We can't take anything for granted. Thank you Laura and Maria! My pleasure, Laura. You're very welcome. Welcome back Carmen. Great to see you again. Glad you enjoyed the post. Hi Teresa! Thanks for stopping by and commenting. Lovely to see you over here. Web of Lies sounds like a real tearjerker. I was a young woman in the 1970's and one of my worst fears at that time was of getting pregnant before I was married. I hated the thought of having to either struggle with both the stigma and hardship of being a solo mother, or of the heartbreak of having to give up a baby for adoption. So I said "no" to the boys, and lost a few boyfriends!! Cherie - snap! Very similar story to mine. We grew up on opposite ends of the earth and just see the similarities. Now there's a premise for a novel! Lovely to catch up with you again, Laura. Thanks for having Laura as your special guest, Maria. Well, New Zealand is on my list of places to visit during my life Cherie. I can't say when that will be as the kids are still all schoolgoing, but one fine day I want to fulfil my dream to visit down under, Australia and New Zealand and then it will surely happen. I just hope it happens sooner rather than later. It was my pleasure to welcome Laura here this week, Serena. Now about TBR piles - I have the TBR pile of my dreams. I'm just looking for a few free hours of undisturbed reading time when I will just crawl into a bunker and read away to glory! Great interview, ladies! Lauren, both of these books sound amazing. Definitely two for my TBR list!! Hi Maria, thanks for stopping by, it's great to hear from you again. It is so good that there is more awareness now about matters like this! Hi Laura and Maria - fantastic post! I read it twice lol. Laura I absolutely love Web of Lies, it is the perfect title for a story that is literally like a web, as each page turns a new part to the web was added. African Hearts was beautifully written and I felt like I was there - in Africa. The descriptions were second to none! Have a great week everyone. Hey Tash, thanks for stopping by, good to see you!